With a 15% rise in the number of employers offering telemedicine options as a benefit to employees this year, the number is expected to grow another 34 percent between 2016 and 2017 from both (a) self-insured employers, and (b) insurers offering Medicare Advantage, Managed Medicaid and commercially insured plans/ASO arrangements. Dr. Steven Gerst is very knowledgeable and keen on the topic of Health informatics (also called Health Information Systems, health care informatics, healthcare informatics, medical informatics, nursing informatics, clinical informatics, or biomedical informatics). This is a discipline which is at the intersection of information science, computer science, and health care. It deals with the resources, devices, and methods required to optimize the acquisition, storage, retrieval, and use of information in health and biomedicine. Health informatics tools include computers, clinical guidelines, formal medical terminologies, and information and communication systems. It is applied to the areas of nursing, clinical care, dentistry, pharmacy, public health, occupational therapy, physical therapy and (bio)medical research. mHealth is “the delivery of healthcare services via mobile communication devices". mHealth stands for mobile-based or mobile-enhanced solutions that deliver health. The ubiquity of mobile devices in the developed or developing world presents the opportunity to improve health outcomes through the delivery of innovative medical and health services with information and communication technologies to the farthest reaches of the globe. efforts to be coordinated between patients, various professional caregivers and other stakeholders such as the patient’s family. mHealth and Home Monitoring is a report from Berg Insight that gives first-hand insights into the adoption of wireless solutions for health monitoring. This report claims that 4.9 million patients worldwide are remotely monitored, which is an increase of 51% in 2015. Berg Insight estimates that the number of remotely monitored patients will grow at a compound annual growth rate (CAGR) of 48.9 percent to reach 36.1 million by 2020. 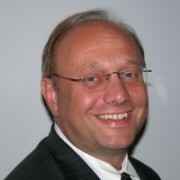 Steven R. Gerst is a graduate of the Columbia University College of Physicians and Surgeons (M.D. ), Columbia College (B.A. ), Columbia School of Public Health – Health Administration (M.P.H.) and the Goizuetta School of Business at Emory University (M.B.A.). He is a Diplomat in the American College of Healthcare Executives. He is also Dean Emeritus of the Masters of Science Program in Applied Health Informatics at Bryan University (Los Angeles, Sacramento, Toronto and Phoenix) where he serves on the Board of Advisors and has taught on the faculty. Dr. Steven Gerst is currently at the University of Miami, Miller School of Medicine in the Office of the Chief Innovation Officer and Vice Provost as an “Entrepreneur–in-Residence,” and has served as an Adjunct Professor of Biomedical Informatics at Nova Southeastern University College of Osteopathic Medicine. You can read more about Dr. Gerst and his work by visiting his website at http://stevenrgerst.com/.